Most young entrepreneurs make their first million in their 20’s, 30’s, and 40’s, or their spend their who lives searching for the big break that will bring them into 7 figures. It’s rare to see kids and teenagers who are so brilliant, they can grow their talents into a successful business at an extremely young age. These 18 kids found a way to make their first million before they reach their 20th birthday. when John Koon was 16 years old, he realized that there were no auto part stores in New York City, since so few people drive. Mechanics within the city llimits had to outsource from New Jersey, so it took time for delivery. He decided to take advantage of this by opening Extreme Performance Motorsports, and it took off right away, because they could deliver auto parts quickly when it was needed. He got a lot of publicity when he began to supply part to the TV series Pimp My Ride, and he was able to become a teen millionaire. John Koon went to college at Georgetown University, where he learned skills in business to expand his auto part store into 20 countries around the world. After succeeding in car parts, he moved on to working in the fashion industry making jeans, which ended up being distributed by top brands like Roca Wear. By his 20’s, he was worth over $80 million. Jojo Siwa was born in a small town in Nebraska, and grew up learning how to dance at her mother’s small studio since she was two years old. Her parents could see her natural talent, and they pushed to get her in the spotlight. After appearing on two reality TV shows- Abby’s Ultimate Dance Competition and Dance Moms, Jojo Siwa proved her talent at just 11 years old. She was getting a lot of grief from dance coach Abby Lee Miller for being too much of an individual, and having a loud personality. Maybe it’s true that she didn’t blend in well with traditional dancing, but her mother fiercely defended her daughter’s talents. She had all the qualities of a star, and she did not allow the gatekeepers in her way to stop her from becoming famous. Instead of going the traditional route for a music and dance career, Jojo starred in music videos that were posted to YouTube when she was 13. One of her first music videos, “Boomarang”, currently has half a billion views. That’s right. Billion with a B. She currently has nearly 7 million subscribers on YouTube. She won the Kid’s Choice Award for social media star, and Nickelodeon gave her a TV show. Her merchandise has appeared in Walmart, Target, Clare’s, JC Penny, and other major retailers around the United States. According to Celebrity Net Worth, she is worth $8 million. Vitalik Buterin was born in Russia, and his parents moved to Canada when he was 6 years old. Right away, the school could see that Vitalik was a mathematical genius, and they put him in classes for gifted children, and he later went to a private High School in Toronto. He was interested in blockchain technology, and was trying to figure out ways to improve it. He won $100,000 from the Thiel Fellowship after entering college, and began to write articles for Bitcoin Magazine on the side. He was paid for his work in Bitcoin. At the time, Bitcoin was very cheap, so he accumulated what has not become a fortune. Buterin so involved in the blockchain community, he could clearly see improvements that could be made to Bitcoin. In 2013, he created the Ethereum white paper when he was just 19 years old. The Ethereum platform made it easy for new companies to create “IPO’s” or “Initial Coin Offerings” for their own businesses, and millions of people around the world started to buy his cryptocurrency. Since the value of Bitcoin and Ethereum fluctuate so quickly, it’s hard to pinpoint Vitalik Buterin’s true net worth. At this point, he is valued at least $500 million. Vine was an app that allowed people to make video clips that were only 15 seconds long. This gave a rise to a lot of young comedic talent who could slam out hilarious jokes within that timeframe, including Liza Koshy. She is an expert at making puns with her quick wit, and she also creates various characters. Liza moved on to creating her own YouTube channel and posting extended comedy videos, which became even more popular than her Vine. She currently has over 15 million subscribers, and a YouTube Original series called Liza On Demand. Her personality caught the attention of traditional media, and she was invited to host the 2018 Met Gala in New York City. She is also hosting Nickelodeon’s reboot of the Double Dare TV series. According to Celebrity Net Worth, she has $4 million. However, it is very likely that her true net worth has gone up since the last estimation. According to SocialBlade, it is more likely that she makes closer to $3 million a year. Teen Mark Zuckerberg during a TV interview in 2004. Credit: YouTube. Anyone who has watched The Social Network will know that Mark Zuckerberg was a 19-year old student at Harvard University when he first launched Facebook. He was already creating websites at the age of 13, and he had several different ideas leading up to the creation of what is now the biggest social media site on the planet. Despite having some setbacks and finding himself in the center of a battle in court over the creation of Facebook, he was still able to quickly became a millionaire before the age of 20, and his wealth continued to grow. Today, he is worth $70 billion, which makes him the sixth-richest person in the world. When she was just 7 years old, Kiowa Kavovit invented a product she created with her father, called “Boo Boo Goo”. This was a liquid bandage that was perfect for kids who wanted to continue to run and play, even after getting a cut or scrape. Other companies produce liquid bandaids, but they are usually clear. Boo Boo Goo comes in little jars of colorful liquid that look similar to nail polish. Kids and parents can paint on any shape they want to create a bandaid that will never slip or fall off of their skin. Kiowa Kavovit appeared on an episode of Shark Tank in 2014 to advertise her product, and it was picked for $100,000 for 25% of the company. That investment seriously paid off, because by the time she turned 9, the company was succeeding so much, her total net worth already reached $1 million. After growing up in the spotlight of the reality TV show Keeping Up With the Kardashians and growing up as the daughter of an Olympic champion, it’s fair to say that Kylie Jenner got a lot of help starting her own business. However, there are so many privileged kids who get help from their family to start their own brand, but few do as well as Kylie Jenner. Her style and social media presence speaks for itself, and she truly has the mind of a mogul. Her cosmetic company, “Kylie Lip Kits” are so popular, they sell out immediately after the new shades premiere online. The unique formulation of matte lipstick that stays on all day was something that women truly wanted to buy, and they became a go-to product for beauty gurus around the world. It was so popular, in fact, that nearly every other major cosmetic company decided to come out with their own version of the Kylie Lip Kit. According to GoBankingRates, Kylie Jenner is worth more than $50 million. This makes her the second-wealthiest out of all of the Kardashian siblings, only falling short of her sister Kim, who started the family legacy. However, Kylie is still young, so there is still plenty of time for her to prove that she is the one with the genius business mind. In 1999, social media websites were still very new, and the big names like Myspace and Facebook did not exist yet. A 14-year old boy from West Yorkshire, England named Adam Hildreth created a social media site called Dubit. It became so successful, he dropped out of High School when he was 16 years old in order to focus on growing the business. By the time he was 19 years old, the website had sponsors with huge corporations like Coca Cola, and he was worth $3.7 million. He could have stopped working at that point, but he used his brain and resources to do something truly great for the world. In 2005, he created yet another valuable product called Crisp Thinking, which helps websites and game developers that are targeted at child audiences. His program weeds out the language used by online predators and bullies who target young children on the internet. With a 98% success rate, his company has helped prevent countless numbers of children from becoming victims of predators. According to The Richest, he is currently worth $36 million. Most parents will discourage their kids from playing too many video games, but some teens have discovered that they can turn their hobby into a lucrative income. Born in Karachi, Pakistan, Sumail Hassan Syed started playing a game called Defense of the Ages when he was just 8 years old. His parents did not have a lot of money, and they worked hard to move them to the United States, where 8 people had to live together in a small apartment. When he was 15, he had to sell his bicycle in order to keep playing the game. This was a big deal for him, because his family did not have a car, and it was his only mode of transportation. At that point, he was already known for being an amazing player, and he was able to join a team of professional video game players called The Evil Geniuses. He specializes in a game called Defense of the Ages 2, (Also known as “DOTA 2”) and his team was good enough to compete in tournaments that awarded massive prizes. In 2015, his team won the International DOTA 2 Championships in Seattle, Washington. He broke the Guinness World Record for becoming the youngest e-sports player to become a millionaire, at 16 years old. After winning the prize money, he moved to Seattle and helped his family to be far more financially comfortable. He still continues to compete in DOTA tournaments every year and earn more prize money. In the early 2000’s, MTV had the series “Jackass”. Today, we have David Dobrik’s vlogs. As a High School student growing up in the suburbs of Chicago, David Dobrik’s parents are immigrants from Slovakia. He first became a millionaire on the popular video app Vine, where he had over a million followers. He uploaded short comedy clips with his friends, and sponsors becan to pay him for his work. He moved to Los Angeles and changed his comedic format over to YouTube, where he writes, directs, films, and edits comedic skits, stunts, and pranks. Occasionally, he will post a feel-good video with shock value, like surprising his friends with a free car. Every video is only 4 minutes and 20 seconds long, and yet he manages to cram in several short clips with rapid-fire comedy. Unlike YouTube comedians that came before him, Dobrik created his own genre of comedy that truly resonates with young people. At the time this article was written, he has nearly 8 million subscribers and his videos have 2.5 billion views. His videos have become so popular, he has even brought in traditional celebrities into his blog like Josh Peck, Snoop Dogg, and Steve-O. According to SocialBlade, his content makes an estimated $9 million per year, and that doesn’t take into account that he also gets paid for public appearances, his podcast, and sponsorships. Even though his fortune started in Bitcoin, Erik Finman has withdrawn his earnings into fiat currency to live a life of luxury. Credit: Erik Finman. In 2011, Erik Finman was 12 years old. He received $1,000 from his grandfather as a gift. Instead of buying video games and candy, he did what very few kids ever do- he invested in Bitcoin, and held onto it. As a student, he only got a 2.1 GPA in school. Most of his teachers thought he wasn’t going anywhere in life. He told his parents how much he hated school, and how he wanted to drop out. His parents were well-educated from Stanford, so they wanted the best for their son. They gave him a challenge that they probably never thought he would actually achieve. They said that if he became a millionaire by 18, and they would give him their blessing to leave High School and avoid going to college. After that, he focused closely on cryptocurrency trading, and made his first $100,000 selling bitcoin when he was 14. By the time he was 19 years old, the value of his bitcoin skyrocketed so high, he was a millionaire. During its peak in 2017, bitcoin reached prices of $20,000. According to CNBC, he owned over 400 BTC, so that would mean he had $8 million at that time. Today, he has expanded his investment portfolio, and he uses his money to fund other entrepreneurial projects. Ktlian Mbappe when he was 16 years old. Credit: Football Premium. It’s not surprising to hear of a young athlete becoming a millionaire, but it’s particularly inspiring when someone from a poor background can use their skill to become a success. As a child, Kylian Mbappe grew up in a poor suburban area outside of Paris, France. He played soccer nearly every day, and wished he could be like his idol, Cristiano Ronaldo. Coaches took notice to his talent when he was just 6 years old. He has an uncanny ability to get advice on how to improve his game, and he automatically learns how to do it on the first or second try. His natural talent and hard work and dedication paid off, because he joined the Paris Saint-Germain Football Club with a $217 million contract when he was just 16 years old. He is the youngest person to ever sign with the team, and he has earned the second-highest sign-on bonus. The new generation of small children are glued to their iPads, and you may be wondering what they are watching. It turns out that kids are mesmerized with watching toy unboxings and reviews, and two brilliant parents knew how to capitalize on their adorable son’s excitement about opening a new toy. They started a YouTube channel called “Ryan Toys Review” when Ryan was just 2 years old. Today, they have nearly 15 million subscribers, and many of the videos have reached hundreds of millions of views per video, and some even reach over a billion. According to the YouTube revenue tracking website SocialBlade, the ad revenue from those videos makes anywhere from $2 to $32 million per year. Considering that they are family-friendly, they would be a prime target for advertisers, so it would be closer to the top-end of the estimation. That also doesn’t even take into account the fact that YouTubers get paid thousands of dollars by companies to advertise their products, plus they get free toys, as well. After the videos are complete, Ryan’s parents donate many of the toys to charity. Many would consider this to be on-bar with the life of a child actor, but his parents have wisely chosen to keep their last name and location private, so that they can continue to live a normal life as much as possible. There’s nothing quite like grandma’s cooking, right? At 14 years old, Fraser Doherty thought his grandmother’s home made jam was so good, he could sell it. He learned how to make it on his own, bottled it, and sold it at local farmers markets around his home town in Scotland. He called it “SuperJam”, and people loved the fact that it was made from 100% real fruit, without any artificial preservatives or added sugar. The jam became so popular, he asked his father to drive him to a meeting with a supermarket buyer. At first, the company rejected his pitch, because he didn’t know anything about creating an eye-catching label or pricing it correctly. After going home and doing some research, he tried again, and it was picked up by a supermarket chain who started selling it across Europe. The company grew, and Fraser Doherty became a millionaire. SuperJam is now listed among the famous iconic Scottish brands. In 2017, the BBC did a story to follow up on Fraser Doherty to see how he was doing, now that he is all grown up. For several years, the jam was bringing in over a million dollars each year, until stores stopped carrying his brand. However, his story caught the attention of South Korean and Japanese supermarkets, and SuperJam was featured on several TV shows. Now, the product is sold overseas, and it continues to do very well. Ashley Quails studied computer science and graphic design before she made her own successful website. Credit: Crain’s Detroit Business. Remember Myspace? One of the best parts about the social media site was the fact that you could customize your profile page to look like whatever you wanted. However, most people did not have the HTML skills to design a cool-looking page on their own. High School student Ashley Qualls was learning how to code and make websites when she was 14 years old, and she created a page called WhateverLife.com to house all of the different myspace profile codes. At first, she just did this to share with her friends. She noticed how many people were actually going to her website, because at the time, she was one of the only websites that was giving away these profile templates for free. Using Google Adsense, Ashley Qualls was able to monetize the site with ads. She was getting an average of 7 million individuals with a total of 60 million views per month, since many people would visit the site multiple times to update their profiles. An investor offered to buy the website for $1.5 million, but she turned it down. Her total net worth is not known, but in every interview, it was said that she had become a millionaire. When she was 17, she was making so much money, she emancipated herself from her parents so she could manage her own fortune. Of course, Myspace is no longer a popular social media site, so maybe she should have sold WhateverLife.com when she had the chance. It has not been updated since 2015. As a young teenager in middle school, Sean Belnick started selling online by selling small items like Pokemon cards on eBay. He moved up to creating his own website called BizChair.com, where he sold office furniture.This was years before Amazon.com became the go-to place for businesses to buy office supplies, so he was actually able to get contrat with some huge clients. He started to sell to companies like Abercrombie and Fitch, Microsoft, and Google. By the time he turned 20 years old in 2006, his business had already brought in $24 million in revenue. 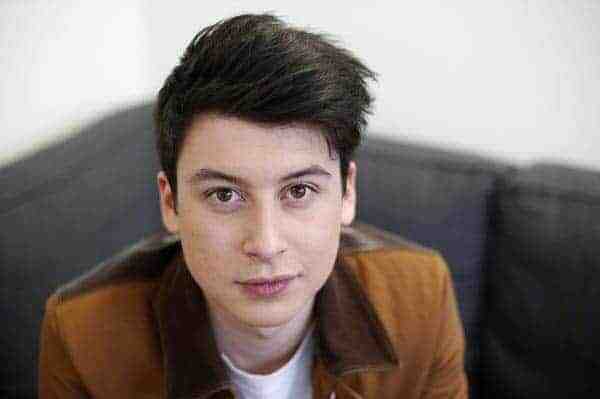 At just 12 years old, Nick D’Aloisio taught himself how to code. He started developing apps for his iPod touch, which he got as a present for his parents. In school, he excelled in complex subjects like math and Chinese. At 15 years old, he came up with an app called Trimit, which improved the relevancy of search engine results. He decided to upload it to the Apple iTunes store, and it quickly got a lot of press coverage. A company from Hong Kong reached out to him and offered to put in the funding for him to develop his app further. So, he used the money to hire a team of coders to put together a new version of the app, Summly. Not only did the app help narrow down search results, but it also had the ability to take an article and summarize the most important part of the story into a short paragraph that people could read on their phones and get a good grasp of what happened in a short period of time. When he was 17, Yahoo purchased Summly for $30 million and turned it into their News Digest app. Even though he made millions, and he was working on the development team with Yahoo, he had to fly back home to England to complete his High School exams and get reach for college. In 2017, Yahoo shut down the News Digest app, but Nick D’Aloisio didn’t stop there. He continued to work on new projects. At 21 years old, he created another startup called Sphere Knowledge, which allows users to chat one-on-one with experts in a certain topic. He began funding the project in 2017, and it is currently still in development. Farrah Gray grew up in a rough part of Chicago. When he was just 6, he started selling just about everything he could get his hands on by going door-to-door to his neighbors. He sold painted rocks, body lotion, and home made bookends. He founded an urban youth program, where he was able to help generate some income in order to help the local kids in the inner city. At age 12, he started developing his own products and services. He started a company called Farr-Out Foods, which sold strawberry-vanilla flavored syrup for ice cream. This started to sell in supermarket chains, and he made is first million dollars at 14 years old. Now, he is the youngest person in history to have an office on Wallstreet in New York City, and he continues to grow his personal brand by publishing books.